There are few things some quality time soaking in a tub full of soapy suds can't solve - and the same holds true for itty-bitty bats who've gotten themselves into a bit of a bind. The good folks at the RSPCA's West Hatch center, in England, recently came to the rescue of one such hard-luck floof. 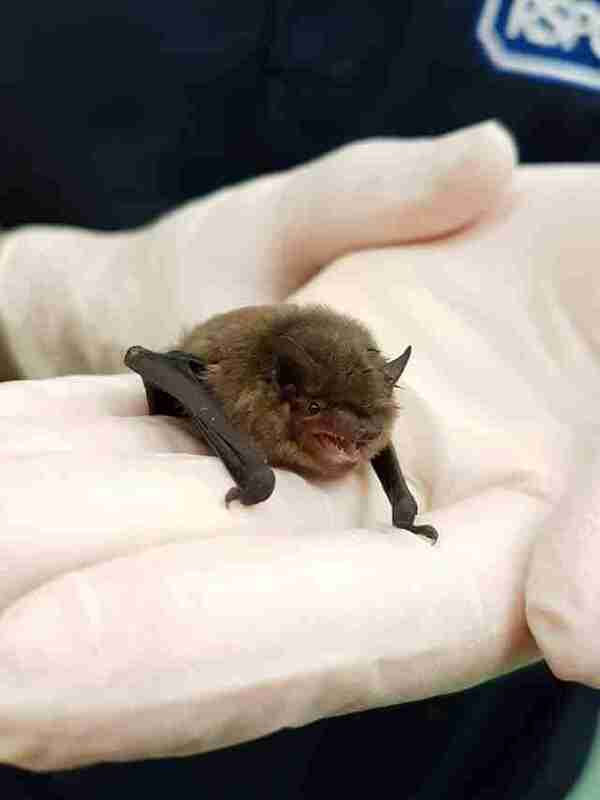 The poor little pipistrelle bat had been found stuck in a sticky flytrap, and his tiny body was so covered in glue that he could hardly move. Fortunately, rescuers had just the thing to help: bubbles. 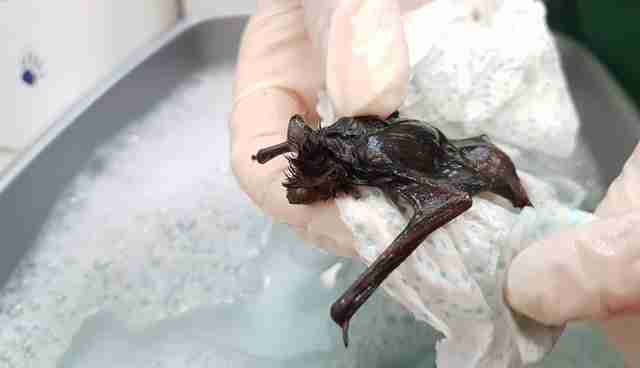 A staffer at the clinic told The Dodo they used "high quality washing-up liquid with warm water" to gently scrub away the glue from the bat's body. 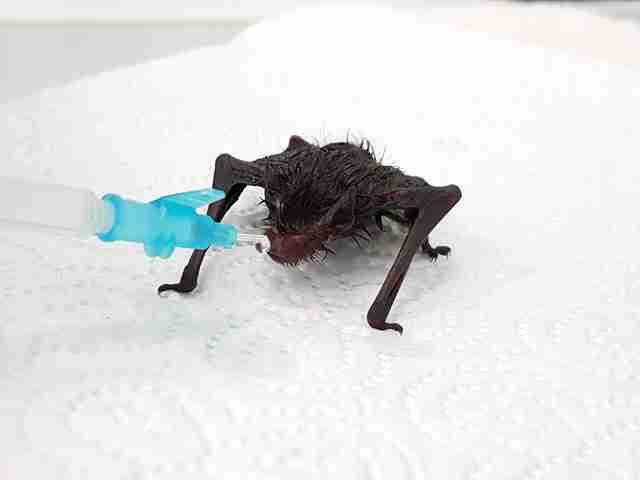 Being handled in this manner can be quite stressful on wild animals, particularly when getting totally clean takes a few sessions, but this bat is said to have quite a good sport. "He was luckily a particularly feisty individual and seemed to cope," the staffer said. Afterward, the bat got a snack. Here's that same bat, now all smiles, happy to be back to his same fluffy self again. This isn't the first time a glue trap has ensnared an animal other than its intended target. It's easy to see why the Humane Society of the United States calls such a method "cruel" - and sadly, not all who are caught by accident will be as lucky as this bat and make it out alive.